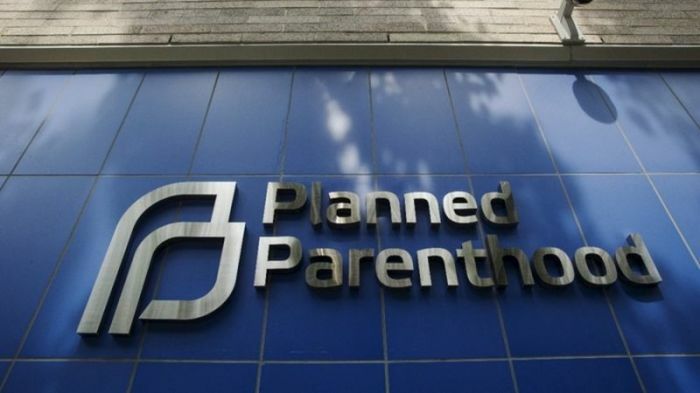 Planned Parenthood Federation of America uses taxpayer dollars to help them afford to spend millions of dollars on pro-choice politicians, according to a report released by a pro-life group. Live Action, a pro-life organization headed by noted anti-abortion activist Lila Rose, released a report Tuesday detailing what it described as Planned Parenthood's "political money laundering scheme." "And every election cycle, Planned Parenthood's political arms ... spend millions of dollars in campaign contributions, independent expenditures, and the recruitment of election workers to get pro-abortion politicians elected to office," read the report's introduction. "Those politicians, in turn, ensure that Planned Parenthood continues to receive over half a billion dollars in federal and state funding from taxpayers every year – almost 40 percent of Planned Parenthood's annual budget." According to Live Action's report, Planned Parenthood's political arms are poised to spend $20 million to defeat pro-life candidates, plus $30 million in consortium with other groups. "While Planned Parenthood and its political arms are separate on paper, because taxpayers are forced to give the abortion chain over $500 million a year, donors are freed up to direct their money to Planned Parenthood's political agenda rather than to fund what nominal health services Planned Parenthood itself provides," argued the report. In a statement released Tuesday, Rose said that "Planned Parenthood is weaponizing the taxpayers' own money against them." "The corrupt bargain between Planned Parenthood and pro-abortion politicians must end. It's paid for by taxpayers and with the lives of over 320,000 preborn children every year," Rose said. "Congress and the president must fulfill their promise to defund Planned Parenthood of all taxpayer dollars. American taxpayers should not be in the abortion business, nor should they be subsidizing campaign contributions to any politician to keep them in office." For years, pro-life advocates have campaigned to have the federal government cease providing Planned Parenthood with hundreds of millions of dollars of funding. While President Donald Trump campaigned on a platform that included defunding Planned Parenthood, efforts to defund the nation's leading abortion provider have not succeeded. In May, President Trump announced that Planned Parenthood could no longer get funds under Title IX family planning, cutting $50-60 million in taxpayer funds for the abortion provider. In an entry on their Action Fund website from 2017, Planned Parenthood defended the funding they receive from the federal government, which primarily comes through reimbursements through Medicaid. "If politicians out to 'defund' Planned Parenthood have their way, they will block millions of patients who depend on Medicaid and other public health care programs from accessing care at Planned Parenthood health centers," claimed Planned Parenthood. "Many Planned Parenthood patients — nearly half of whom are people of color, and many of whom live in rural areas — would have nowhere else to turn for health care. We won't let that happen."